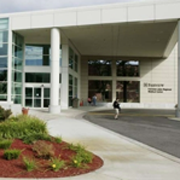 Founded in 1998, Fairview Lakes Medical Center is a full-service hospital, 24-hour emergency department, and 10 onsite, multispecialty medical clinics. We provide specialists in everything from cancer and orthopedic care to surgery, heart care, family medicine, obstetrics and pediatrics. As part of Fairview, we partner with the University of Minnesota to offer cutting-edge medicine. The University of Minnesota Physicians Radiation Therapy Center offers state-of-the-art radiation therapy services in the medical office building attached to Fairview Lakes Medical Center. For added convenience, the Lakes Cancer Clinic provides medical oncology and outpatient chemotherapy right next door. Just 30 miles north of St. Paul and 33 miles northeast of Minneapolis, the city of Wyoming and surrounding communities nestle into the serenity of sparkling lakes, luscious wetlands and scenic open spaces. From the area's burgeoning suburbs and semi-rural towns, it is just a short freeway drive to fine dining, cultural venues and sporting events in the city. Unlimited recreation, urban convenience and the lush beauty for which Minnesota is known make this an attractive area to live and work.